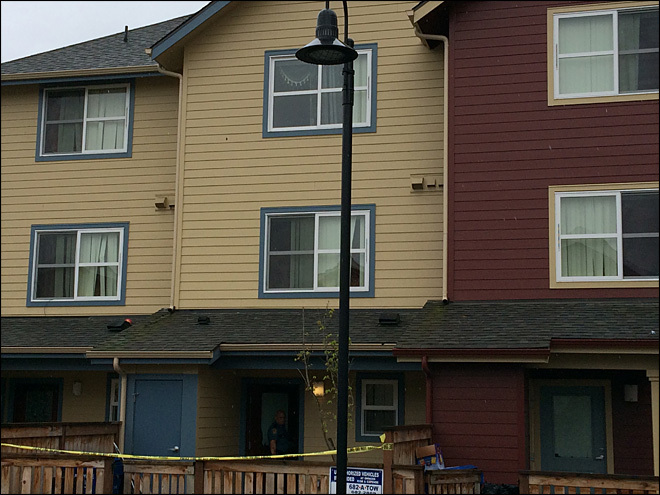 A 1-and-a-half-year-old girl was hurt in a fall from the third-floor window of an apartment near Seattle’s Columbia City neighborhood. When fire department medics arrived at the building in the 3000 block of South Oregon Street about 10 a.m. Wednesday, the girl was in her mother’s arms, crying.Seattle fire Lt. Sue Stangl said the girl was taken to Harborview Medical Center in serious condition with some missing teeth and abrasions.The child had been playing with her sister upstairs when she went out the window. A 1½ -year-old girl is in serious condition after falling out of a third-floor apartment window, emergency officials said. Medics and police responded to the scene, in the 3800 block of South Oregon Street, at about 10 a.m. Wednesday after receiving a report of a toddler involved in a fall. Lt. Sue Stangl of the Seattle Fire Department said the little girl fell out a third floor window and struck a first floor overhang before falling to the ground level. The girl’s mother ran downstairs and picked up the child. When medics arrived they found the girl in her mother’s arms. She was alert, conscious and crying. The girl was taken to Harborview Medical Center with abrasions and some missing teeth in serious condition, Stangl said. Photos from the scene showed a screen window lying near the spot where the girl fell.